The 2011 Rugby World Cup Final , will be played between New Zealand and France , on Sunday 23 rd October at 7.00pm , in NZ . The Australian Team , the Wallabies , were soundly defeated by N Z team , the All Blacks in their semi final match .The Aussies played their last game of the Cup , to beat Wales , in the Third Place Play-Off. NZ is a country where they love the sport of rugby union . The devotion of their fans to their national team , the All Blacks , makes the average AFL fan look half-hearted . In the Grand Final , New Zealand takes on old foe , France . Having just returned from France , I witnessed first hand how patriotically they supported their national team , whilst watching the 'Ugby World Cup. 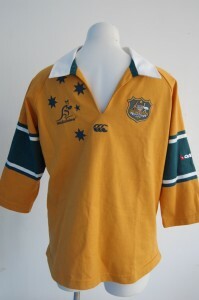 Being an Aussie , and AFL zealot , I will support the Kiwis , in their quest for the greatest prize of their competition . 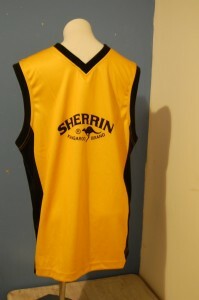 Sports Fans everywhere , will be watching , wearing their codes jumpers , jerseys , guernseys . 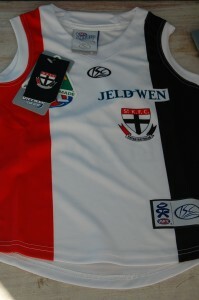 Many , will be hoping the All Blacks are victorious , a feat , which appears, to be less elusive , than the St Kilda Saints winning an AFL Premiership. 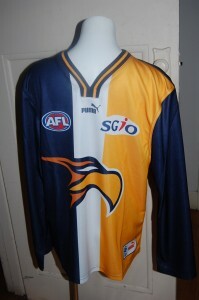 As a purchaser of AFL football jumpers I have always noted they were made in Australia. 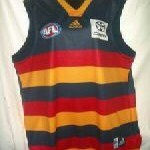 Recently , I purchased several AFL, authentic , licensed football jumpers , printed with official sponsors , from a major sporting goods retail outlet . All were made in China . Two seperate manufacturers produced them . 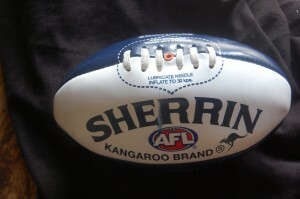 Neither company , were the three traditional manufacturers , who had always made them in Australia . A disturbing trend . The price has been maintained making them an expensive item and the quality of manufacture displays less attention to detail. 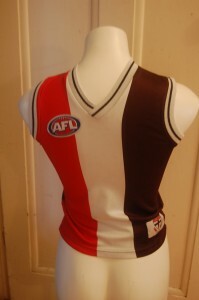 The AFL prides itself on a national competition, and promotes the Australianess of the brand ,yet it allows football jumpers , previously manufactured in Australia , to be made in China . 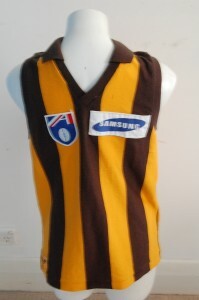 Another great Aussie icon , the humble footy jumper , bites the dust ? Will AusKick be axed ? It was announced on ABC radio, today , 4th November 2010 , that " VicSwim" , the school holiday , learn to swim program , may be axed. Is this wise ? considering that Australia is a vast , island continent , surrounded on all sides by the sea . It is estimated that at least 18 % of young people cannot swim , and a further 25% of adults , also cannot swim . It begs the question , " Will AusKick be scrapped ? " The popular, afl football clinic , has become an entrenched part , of the Saturday morning routine , for families , with children of a certain age . All go along to the match , wearing their football jumpers , jerseys , guernseys , to learn how to play Aussie Rules . Posted in AFL, football jumpers, NRL | Comments Off on Will AusKick be axed ?